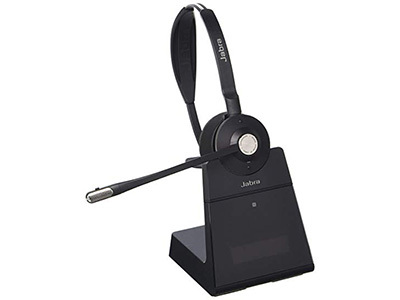 The Jabra Engage 75 Mono Headset is a wireless headset designed for use even when away from the office desk. It has a maximum operating distance of 492 ft. with up to 13 hours battery life. 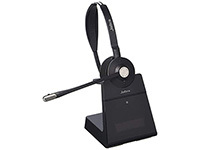 The headset features an advanced noise-canceling microphone to make clear calls. It comes with an integrated busy light for ease of use. Intuitive controls on the headset let users easily answer and end calls, and mute and adjust volume.